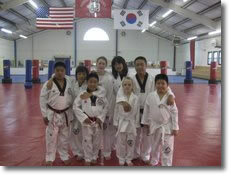 At Yongin Martial Arts, our children's programs are without comparison! We focus on both components of martial arts training; physical skills and personal development. Classes are almost every day of the week after school and on Saturday mornings. Our program will provide your child with the tools to succeed! The adult programs at Yongin Martial Arts will help you challenge yourself in ways you never imagined, to help you grow and learn more about yourself. Calm your spirit to help you learn how to reward yourself from within, diminish your stress so that you are able to calm your mind, and learn to concentrate on and live in the moment. Learn self-defense skills to protect yourself and your family while making time for you! Many families today find themselves pulled in many directions. Make the commitment to spend time together as a family.